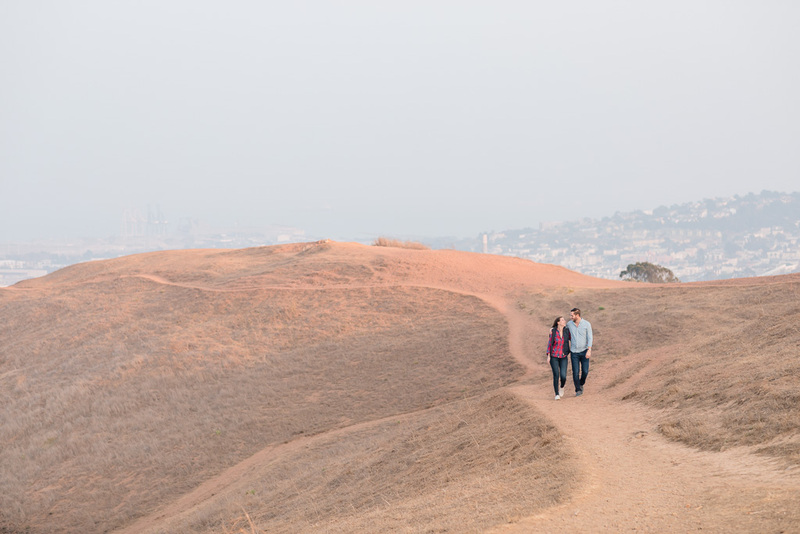 Due to the California wildfires, we didn’t have the ideal sunny day with clear blue skies that we had hoped for. 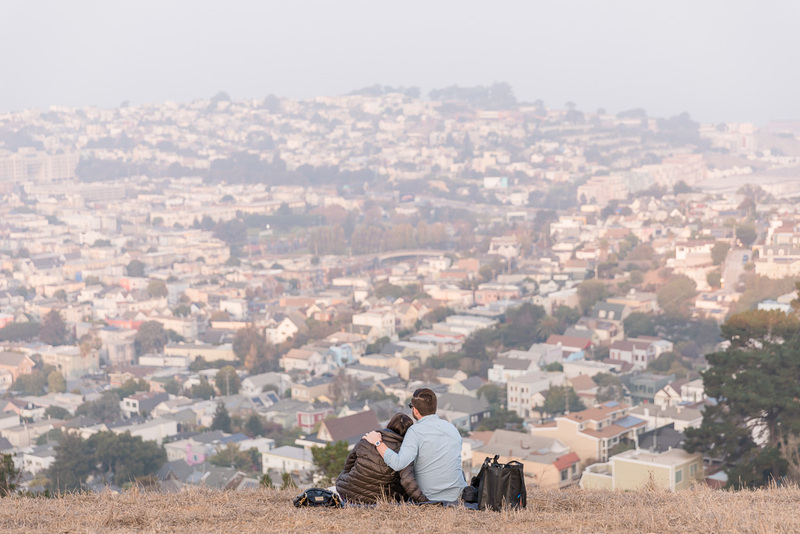 But that’s the thing that made this scene stand out most for me: in the middle of an nearly-empty park, under a pretty hazy sky, there was one happy couple snuggling, sharing a glass of champagne, and enjoying a sunset together while looking off into the city skyline. 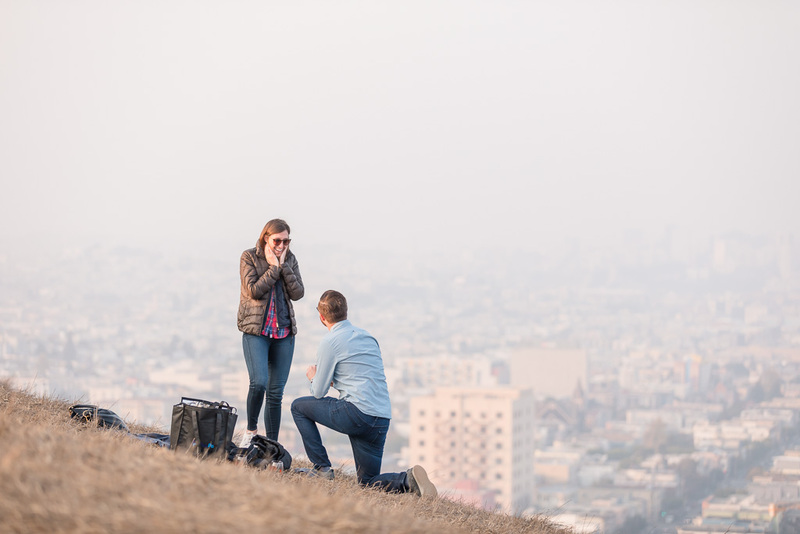 As Scott got down on one knee to pop the question, you could see the radiance beam from the two, and their contrast with the surroundings made the memory that much stronger in my mind. 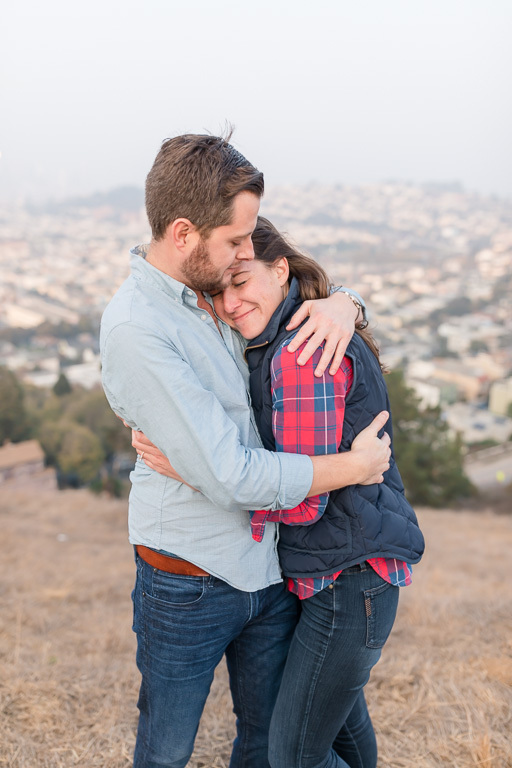 We’re so happy that we had the opportunity to capture this moment for Scott & Briana. 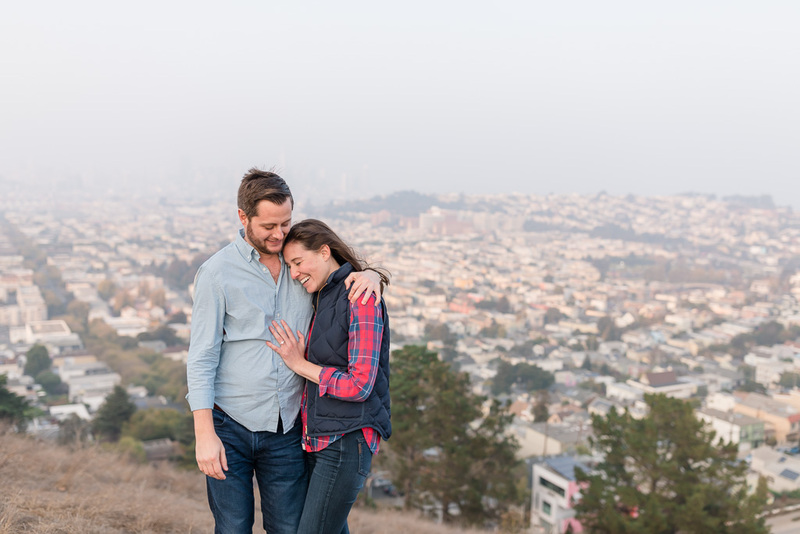 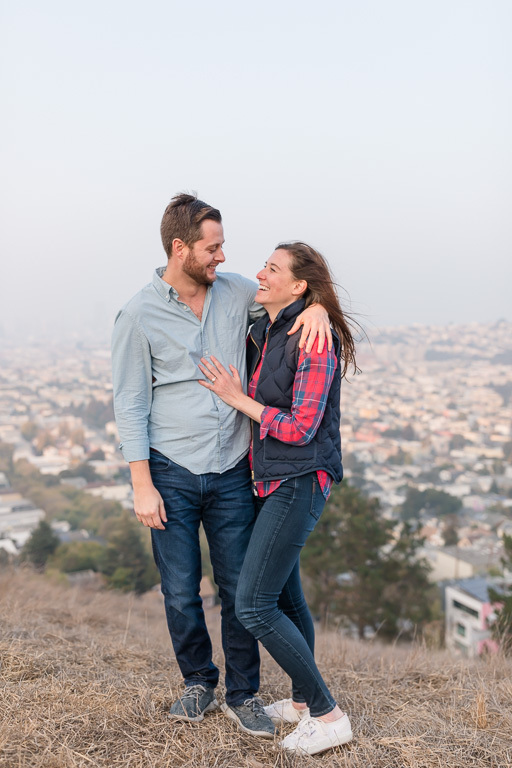 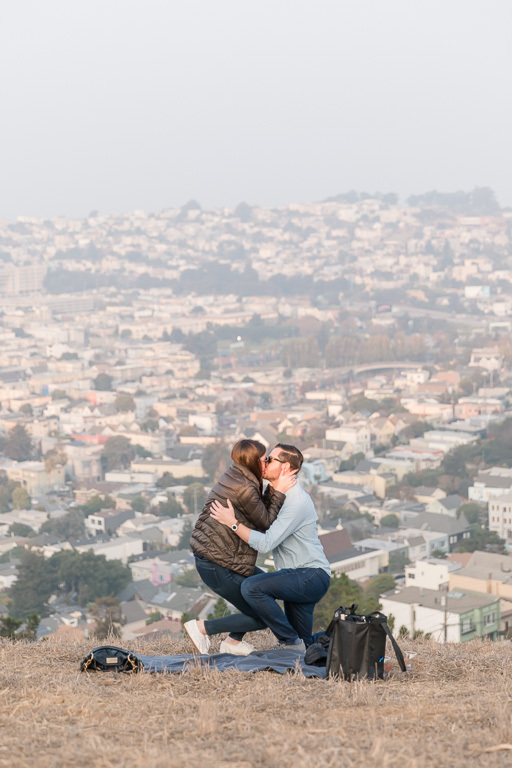 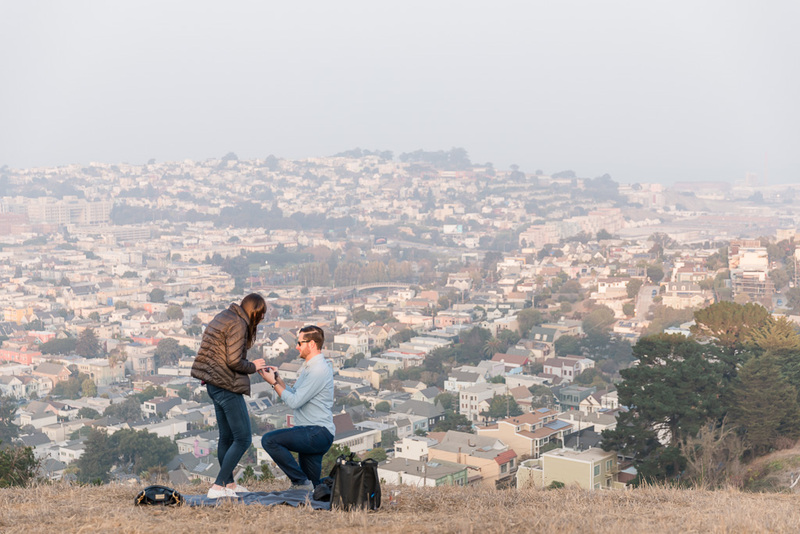 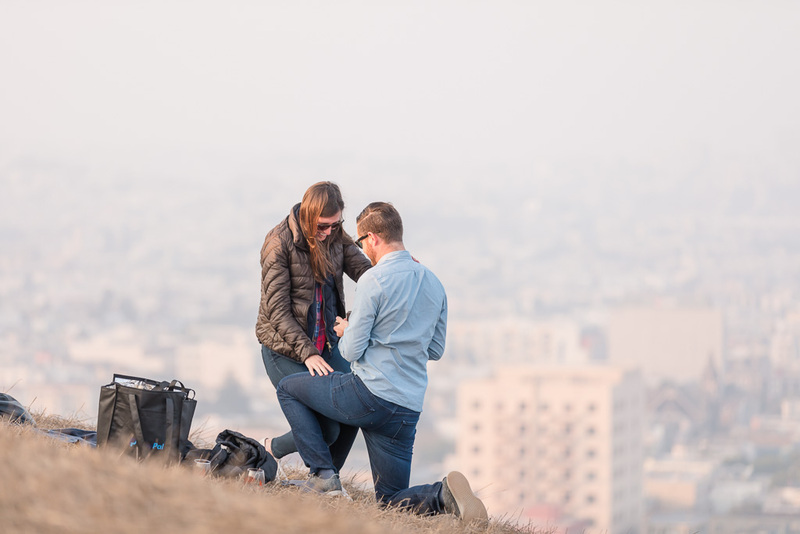 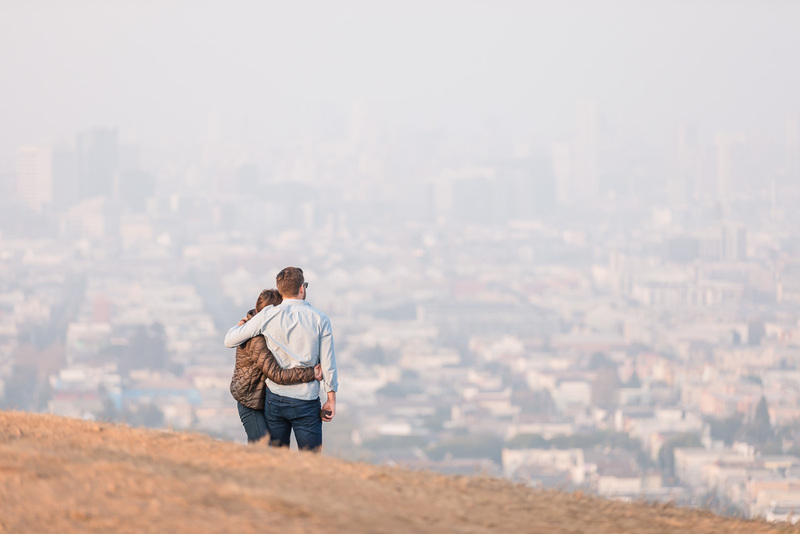 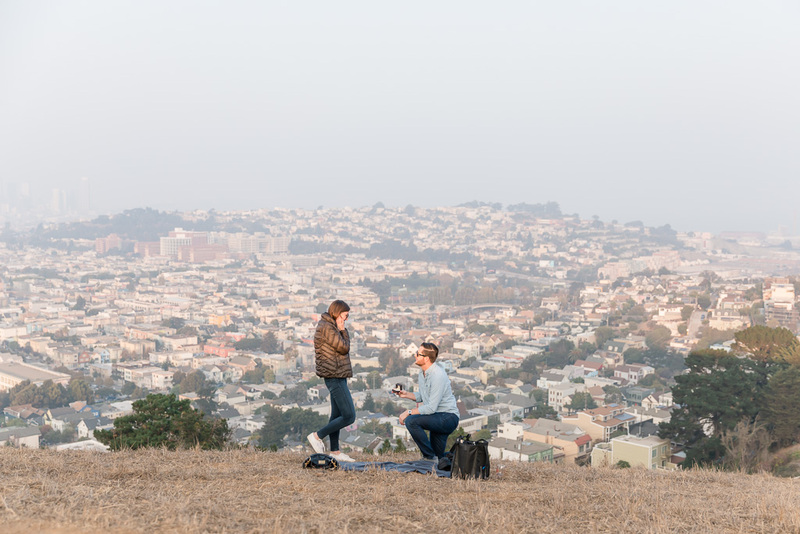 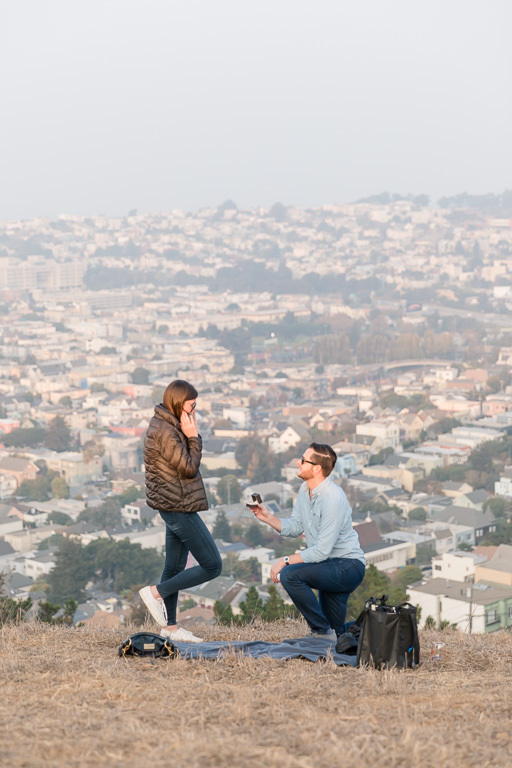 I’ve always loved the location (we actually had our own family photos taken here a few weeks ago) and we’re so excited to share their Bernal Heights surprise proposal photos!